Even if you’ve never set foot on a farm, you’ve probably helped a child plant a seed in a garden—or in a small container before it’s warm enough to plant outside. For children, seeing their seed emerge as a tiny plant is magical. Seeds are one of nature’s miracles: a tiny package filled with incredible potential. Executive Director of the South Dakota Crop Improvement Association Neal Foster, Ph.D., specializes in seed and has numerous certifications to prove it. His family’s farm is about a mile and a half from Foster’s office at South Dakota State University. “My grandfather came to this country from Ireland. He settled here in Brookings about 1928 or 1929. A good yield in one of his cornfields would be 30 bushels per acre,” Foster says. In the past it would take 10 to 12 years of traditional breeding to develop a new hybrid and make it available for public use. With new research, that time has been cut in half. In addition, universities and seed companies operate breeding facilities around the world to take advantage of each growing season available. Using advanced techniques, scientists have also been able to breed seed with specific traits, such as herbicide and insect resistance. Seed with insecticide-resistant traits includes Bt corn, which is altered to include a protein that is toxic to corn rootworms and other insects, Foster explains. Farmers welcome new hybrids and varieties that help protect seeds from a variety of insects and fungi. Farmers can plant earlier because of the availability of cold-tolerant hybrids, which can germinate in soil with lower temperatures. This essentially lengthens the growing season, which can have a strong impact on yields, especially in northern areas. Drought tolerance is another trait selected for, which has helped farmers in western South Dakota see bigger yields. If you’ve ever seen seed corn in a bag or being loaded into a hopper prior to planting, you might have been startled by its color. Much of the seed used by farmers today is treated, or coated, with various compounds that protect the seed when it’s planted. According to Foster, the unusual color is added to indicate that the seed has been treated so it isn’t mistaken for feed or corn with other uses. Advancements in seed technology will continue, Foster notes. New directions include selecting for specific nutritional qualities, for example, which can help with vitamin deficiencies and human health. 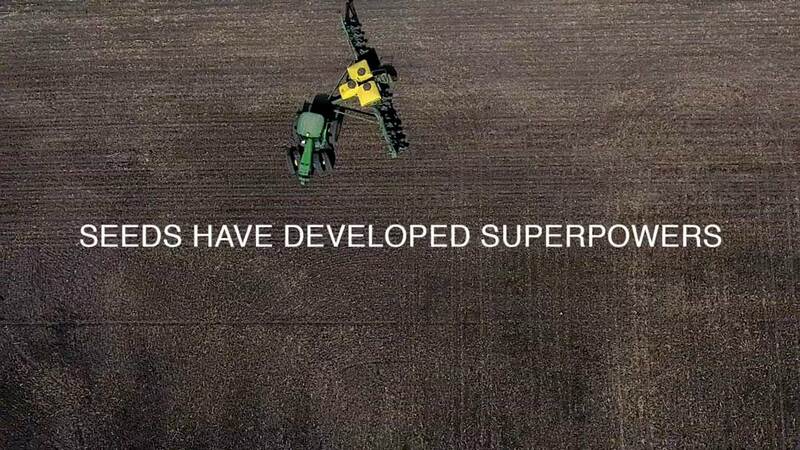 If you’d like to know more about seed technology, contact our office at 605-334-0100.